A vintage (working) 35mm camera. Lou loves shooting with film, and I’d love to give her a vintage camera that she could use. She appreciates history (actually, that’s an understatement), so I know this is one gift that she’d adore. A classic tea set. When she was in Scotland, Lou really started to like tea, and I think she’d have a lot of fun serving tea in a classic china set, saucers and all. For the pattern, I’d pick either thistles (to remind her of her bittersweet adventures in Scotland) or the Blue Willow pattern. A tarot deck. I don’t think Lou would like either of the decks I use, but I think she’d enjoy discovering a new form of divination (in addition to her scrying lesson in the book), so I’d love to give her a tarot deck to practice with! A hope chest. Lou’s a bit of an old-fashioned romantic, and I think she’d swoon over a vintage cedar chest, also known as a “hope chest”, used by women to hold their sundries and linens in hopes of their married life one day. Lou wouldn’t necessarily use the chest that way, but I think she’d love to store her travel mementos in it. A photo album. She might not want to put her photos from her trip to Scotland in it, but I know she’d find a good way to fill it! This was harder than I thought, but so much fun! 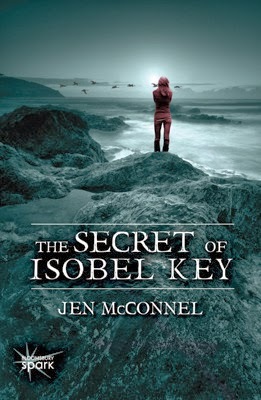 Thanks for giving me the chance to talk about Lou (and THE SECRET OF ISOBEL KEY) today! Jen McConnel first began writing poetry as a child. A Michigander by birth, she now lives and writes in the beautiful state of North Carolina. When she isn’t crafting worlds of fiction, she teaches college writing composition and yoga. Once upon a time, she was a middle school teacher, a librarian, and a bookseller, but those are stories for another time. 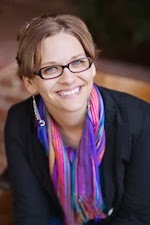 She is the author of The Secret of Isobel Key (NA 2013) and Daughter of Chaos (YA 2014). Visit www.jenmcconnel.com to learn more.